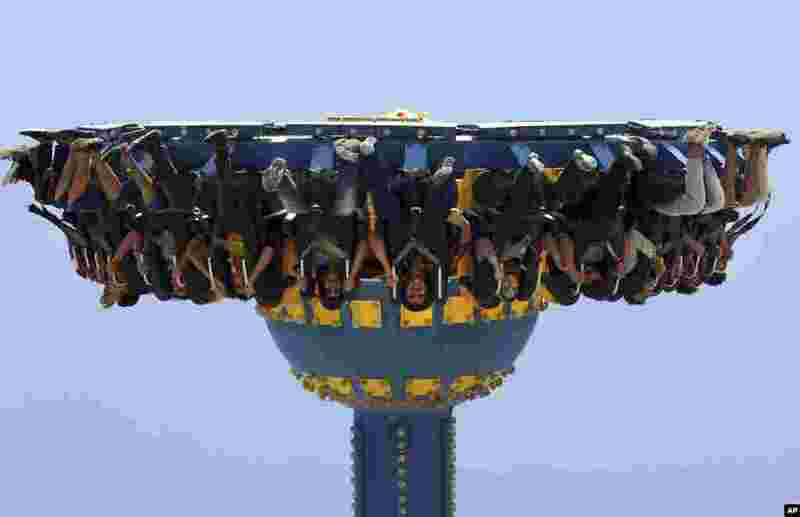 1 Iraqis take a ride at an amusement park during Eid al-Adha celebrations in Baghdad. 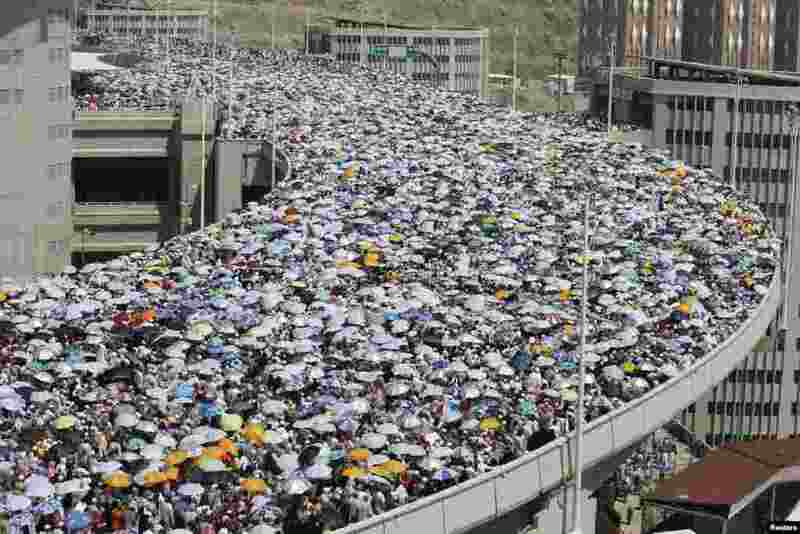 2 Muslim pilgrims walk on a bridge as they head to cast stones at pillars symbolizing Satan during the final day of the annual haj pilgrimage in Mina, near the holy city of Mecca. 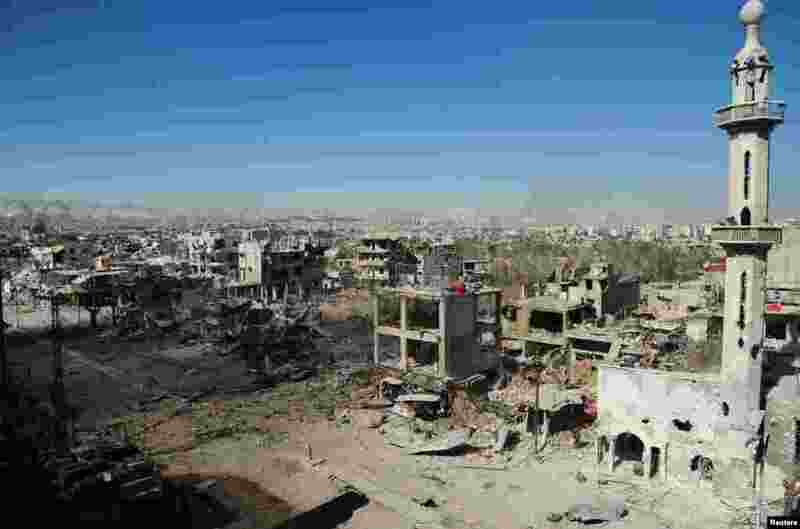 3 A part of the al-Dukhaneya neighborhood near Damascus is seen after soldiers loyal to Syria's President Bashar al-Assad took control of it from rebel fighters in this handout released by Syria's national news agency SANA. 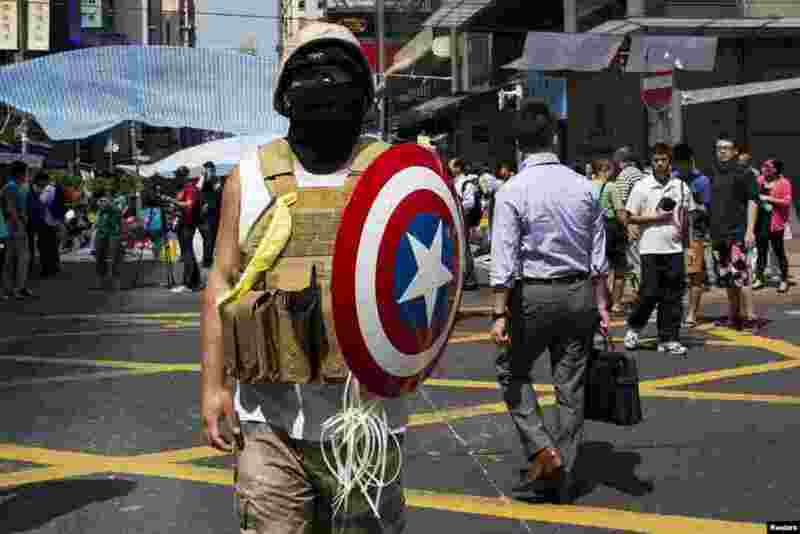 4 A protester of the Occupy Central movement carries a shield from the 'Captain America' comic book series as he stands on a main road at the Mong Kok shopping district in Hong Kong.